The Professional and Student winners of each category will receive the Core77 Design Awards trophy, and all Honorees will be published in the 2019 awards gallery and across the Core77 online network. Founded in 2011, the Core77 Design Awards champions the principles of inclusivity, innovation, and excellence. Recognizing the broad spectrum nature of the design field, the Awards program offers 14 distinct categories for entry, each further broken into dedicated sections for professionals and students - with the exception of one category available only to professionals. Featuring a strong global presence, honorees are chosen by an international panel of design leaders for their insight, integrity, and intent. After six highly successful seasons, the Core77 Design Awards continues to celebrate the richness of the design profession and the brilliance of its practitioners. 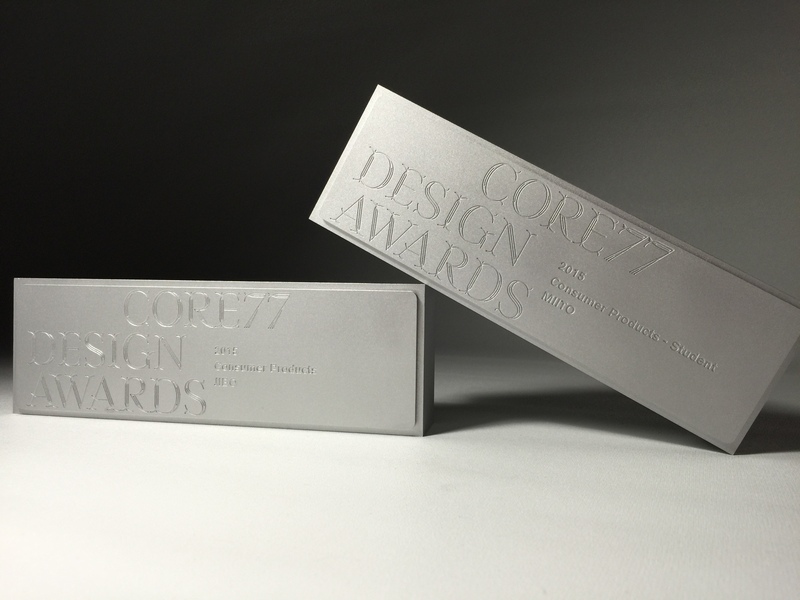 Mirroring the theme of the Awards program it represents, the Core77 Design Awards trophy is a model of inclusion. A successful design rarely comes from singular effort - from ideation to strategy to implementation, innovative design solutions are nearly always the result of a collaborative, team-focused approach. To reflect the multitude of people involved in shaping winning designs, the Core77 trophy was crafted as a tool for recognition, both symbolically and literally. As a functional mold, the trophy can be used to manufacture additional casts, allowing each member of the team to be individually honored for their contribution.